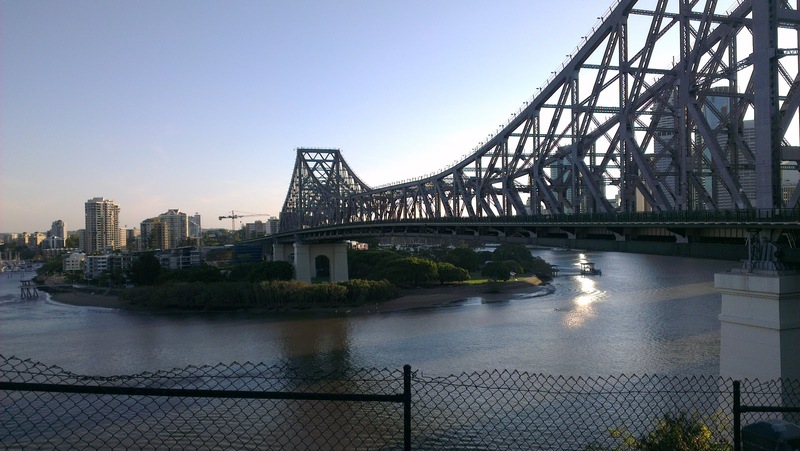 So I was in the city (Brisbane, Australia) the other day in the afternoon taking a walk and I decided to snap a nice picture of the 'Story Bridge'. It was around 5pm that time and the sun setting slowly in the backdrop was really beautiful to see. The mechanical works of the bridge shone through the rays of the sunlight and with the tall buildings of the city in the background made this an awesome scenery to take.